Transport to Winterval 2018 has never been easier. JJ Kavanagh & Sons provides 25 services daily from Ballygunner, Slieverue, Ferrybank, and surrounding areas into the City and provides a further 13 services daily to Waterford City from Dublin City Centre, Red Cow, Carlow and Paulstown, so travelling to Winterval has never been easier. You’ll save money, time and energy by using JJ Kavanagh & Sons as we’re running an exclusive 10% ONLINE offer for the event. Simply use promo code: Winterval when paying to SAVE. Winterval 2018 is Ireland’s Christmas Capital From November 17th to December 23rd, Ireland’s oldest city transforms into a magical winter wonderland. 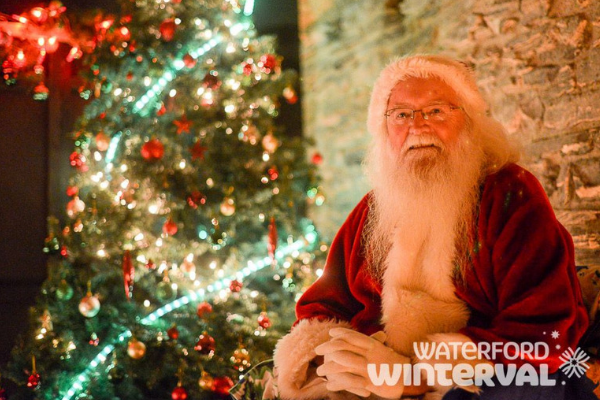 Throughout Winterval, the renowned Viking Triangle and the retail heart of the city come alive with Christmas markets, Santa’s Kingdom, Winterval illuminates light show, a new bigger ice rink at Winterval on Ice and so much more for young and old alike. ➜Santa’s Grotto at the Medieval Museum. ➜Toy Museum – large Room, City Hall. ➜A Georgian Christmas at the Bishops Palace.